A seat worthy of a fine piano. 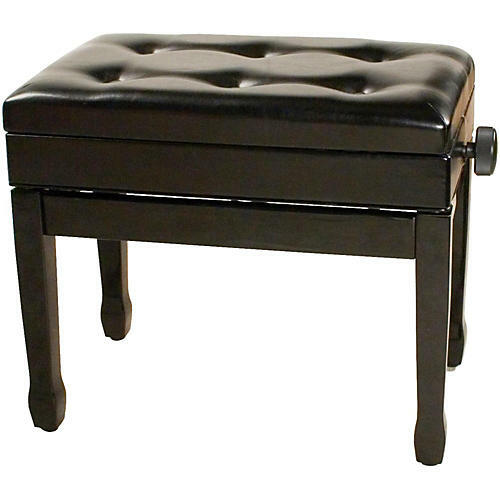 Faux leather Musician's Gear deluxe piano bench has seat has extra-thick padding. The bench's well-crafted wooden frame is finished in classic black to complement any interior decor and is height adjustable. The seat lifts to access a roomy music compartment. 22"W x 19-23"H x 13"D.